This is the first look at the official Grumpy Cat kigurumi costume, which is available for the first time this week. Grumpy Cat is an internet sensation - a real life cat with a real life permanent frown. Her grumpy face has spawned a million memes and she even has her own movie slated for next year. Animal Costumes Shop is over the moon to have such a party pooper in our crew. Things were getting a little too cheerful round here with Christmas on the way and all, so we could do with some relentless negativity around the office. 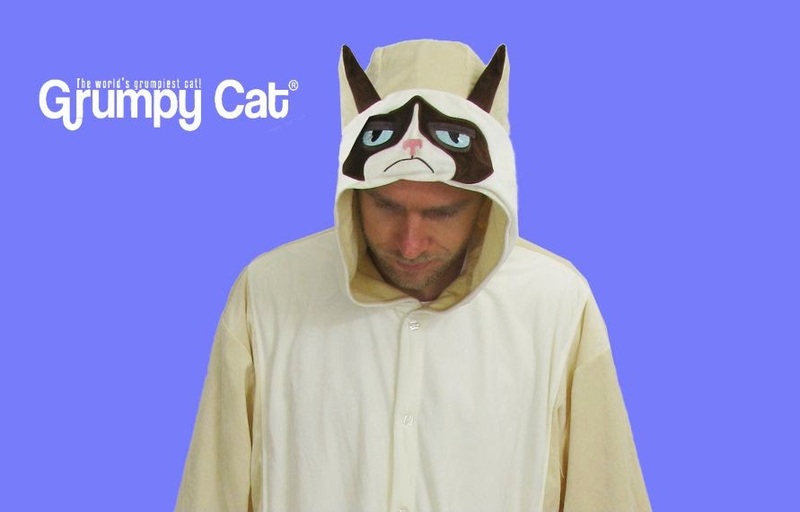 With Christmas around the corner, the Grumpy Cat kigurumi would make a great gift for the joyless grump in your life! Get in there quickly though as we only have a limited quantity.